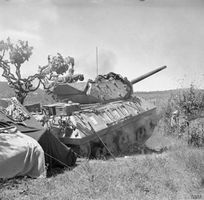 The Achilles is a British tier 6 turreted tank destroyer. The Achilles leads to the Challenger. The Achilles plays similarly to an uptiered M10 Wolverine. Absolutely dreadful when stock, you will have problems penetrating even certain medium tanks, let alone heavy tanks - the good gun depression does not help much either. 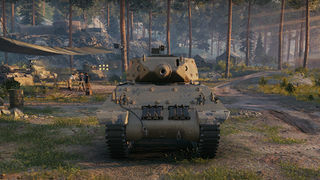 Unless your opponent's team is full of lightly armoured tanks, you will struggle to make any impact in a match - use your mobility and view range to take a more passive scouting role, and pounce on injured tanks to finish them off or take opportunistic shots when possible. However, with the 17-pounder you have a fighting chance to penetrate all but the heaviest tier 8 tanks, despite the inferior gun depression. Although it has high DPM, the low alpha means that you will have to expose your tank for long periods of time to get the gun working. Because of its horrible armor, most hits you receive will penetrate you, and artillery is especially deadly. With an accuracy of 0.33 and an aim time of 1.9 sec, the gun is good at delivering damage at range, which will reduce your chances of being hit, allowing you to make use of your DPM. 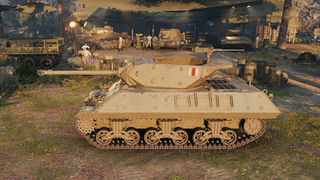 If you're playing AT line and reach at least the AT8, the 17 pounder mk.VII, top engine, and top radio are unlocked since it shared the same modules, The top gun and radio are also shared with the Archer. However, the top gun requires upgraded turret to be mounted. Next, research the upgraded turret and gun (in case if you didn't playing the turretless line). 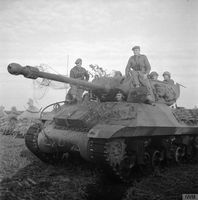 Among the multitude of military vehicles supplied to Britain by the United States in World War 2 were around 1,600 M10 tank destroyers, including mid-production M10 I and late-production M10 II variants. They could be told apart by the shape of the counterweight on the turret rear: wedge-shaped on the I, and enlarged on the II. Unfortunately, initial encounters with heavyweight German opponents like the Tiger I and Panther showed shortcomings in the power of the 3-inch (76.2 mm) gun; with a counter-invasion of Europe looming, it was decided to fit the M10 with the British 17 pounder gun instead. The refitting process began in Spring 1944 and the majority of the roughly 1,000 converted were M10 IIs. 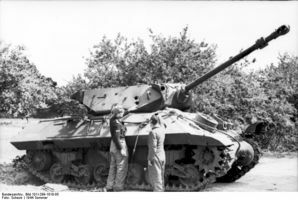 These were renamed M10 IIC, with the C signifying the 17 pounder. Fitting the gun required a counterweight behind its muzzle brake, and the ammunition storage area was altered to take the bigger shells. 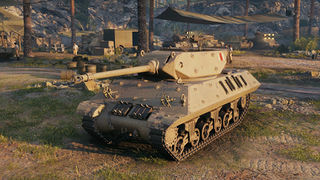 With the power to tear through Tiger I and Panther front armor from 1km, the M10 IIC quickly earned the trust of anti-tank units such as those of the 21st Army Group, and also on the Italian front. 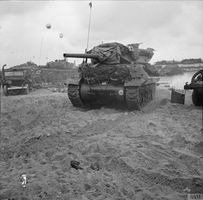 One prominent example of its ability was provided by the M10 IIC Battery of the 62nd Anti-Tank Regiment, which shook off a counter from Panthers and Panzer IVs to destroy 13 German tanks in fighting around Caen in the aftermath of the July 1944 Normandy landings. 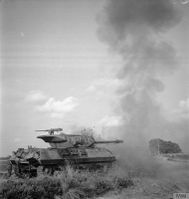 The M10 IIC was also deployed by Canadian and Polish units, and served into the 1950s. This page was last modified on 17 April 2019, at 18:11. This page has been accessed 41,618 times.